Vincere today announced that they have been positioned as the leading FrontRunner of Frontrunners by Software Advice, owned by Gartner Inc. The 2018 FrontRunners quadrant provides a data-driven assessment of products based on usability and customer feedback. Out of all Global Recruitment ATS products reviewed by Software Advice, Vincere scored highest for Usability (4.93 out of 5) and User Recommendations (4.94 out of 5); and emerged the clear recruitment CRM/ATS market leader based on verified user reviews and ratings. 247 vendors were analysed in the report, including Bullhorn, Talent Rover and Jobadder. This marks the third time in Q3 of 2018 that Vincere has been awarded by industry software analysts. 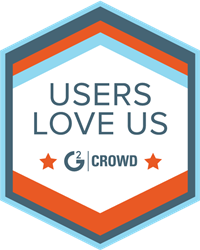 Vincere was recently accoladed as High Performer Summer ‘18 on G2Crowd, Best Value and Best Ease-of-use by Capterra 2018. The full FrontRunners report is available here.